All rights reserved. All contents of this website, in particular texts, images, graphics, animations, videos and other data, and their arrangement in this website, are protected by copyright and other protective laws. Nothing contained in this website shall be construed as conferring a license to use the intellectual property of NAI Austria or third parties. The contents of this website may not be copied, distributed, amended or made available to third parties for commercial purposes. This website has been compiled with the greatest possible care. NAI Austria does not however assume any guarantee regarding the correctness or accuracy of the information provided. 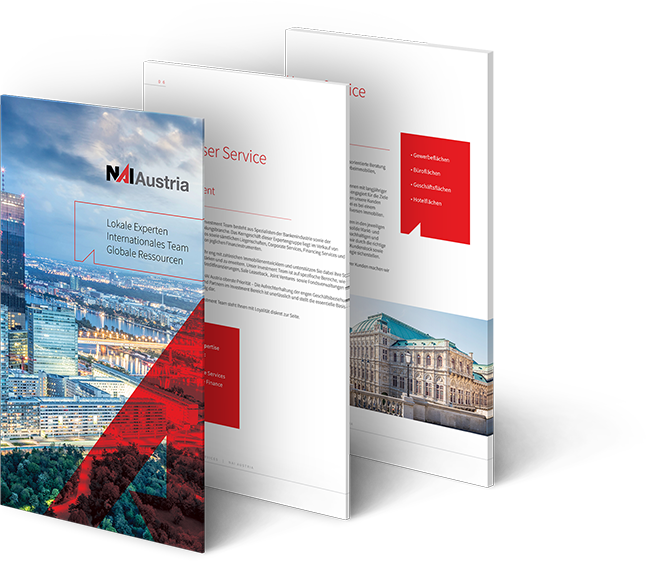 We do not assume any liability whatsoever for damages arising directly or indirectly from the use of this website, unless these are due to gross negligence or intent on the part of NAI Austria. This website contains hyperlinks to websites operated by persons other than NAI Austria. Such hyperlinks are provided for your reference and convenience only. You agree not to hold NAI Austria responsible for the content of such websites. A hyperlink from this website to another website does not imply or mean that NAI Austria endorses the content on that website or the operator of that site.